IDEAS congratulates the University of Bergen, the Birkeland Centre for Space Science, Terma AS and the Technical University of Denmark with the successful launch and installation of the ASIM instrument featuring the MXGS gamma ray detector on the International Space Station. 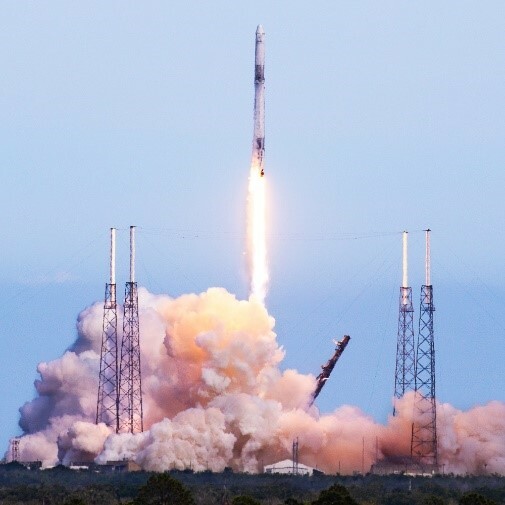 The Atmosphere Space Interaction Module (ASIM) was launched from Cape Canaveral on April 2nd, 2018 on a SpaceX Falcon 9 rocket. On April 13th the instrument was installed on the European Columbus module of the International Space Station, and the instrument was powered up . We are happy to see that the commissioning of the instrument is progressing well and that the instrument is working as expected. The Modular X-ray and Gamma-ray Sensor (MXGS) will measure gamma rays originating from terrestrial gamma-ray flashes (TGF) that are observed in coincidence with intense thunderstorms. TGFs have been recorded to last 0.2 to 3.5 milliseconds, and have energies of up to 20 million electronvolts. The exact mechanism that creates these gamma ray flashes is not known. It is expected that data from ASIM, specifically the MXGS, will give scientist new insight into the origin of these phenomena. The MXGS instrument consists of an array of 64 cadmium zinc telluride (CZT) crystals each connected to IDEAS SRE4001 readout modules. Each crystal has 256 pixels and each pixel is connected to an integrated amplifier and trigger logic on the SRE4001 modules. The CZT and SRE4001 modules thus form a 1024mm2 large gamma ray imaging spectrometer. 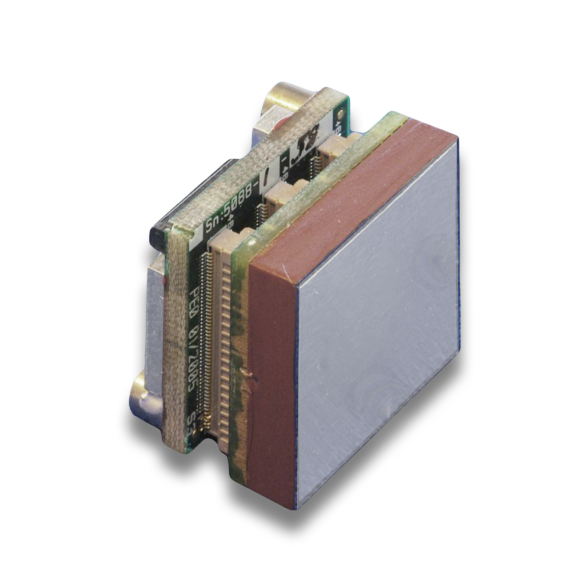 The SRE4001 modules are also used for terrestrial applications such as industrial gamma or medical imaging. Fig. 1: SpaceX Falcon 9 rocket launches ASIM during CRS-14 mission to ISS. Cape Canaveral, April 2, 2018. Image credit: G. Maehlum, IDEAS. Fig. 2: IDEAS SRE4001 module with a CZT crystal mounted. Image credit: IDEAS.